World Health Day is observed annually on April 7th. The first celebration of World Health Day was in 1948 and since then it has created awareness of a priority health theme identified by the World Health Organization. The theme for 2019 is “Health for all”. Access to health care is a human right. The World Health Organization has a goal to extend coverage of accessible health care by an additional one billion people before 2023. 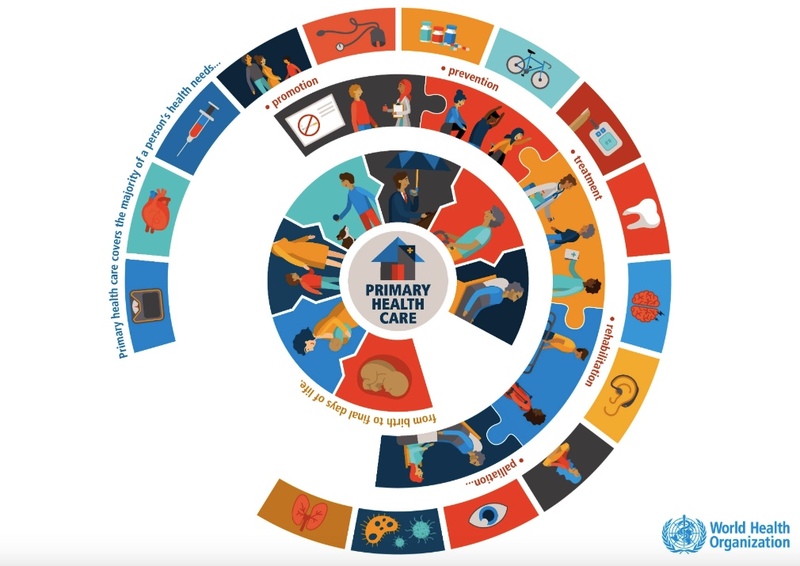 Universal health coverage aims to ensure all people and communities have access to quality health services where and when they need them, without suffering financial hardship. This access to care includes prevention, treatment, rehabilitation and palliative care. This campaign is complex and there are many factors to consider when building a strong primary health care system to improve quality of life for all. This WHO campaign has a roadmap based on five attributes of quality health care services: quality, efficiency, equity, accountability, sustainability and resilience. Some of the most challenging factors are changing public policy. Ministers of health and other government decision-makers have to commit to taking action to address gaps in universal health coverage in their countries. Another factor is human resources, recruiting and training health care providers to provide care in their communities. VOSH/International recognizes access to vision care as an important part of an individual’s health care. Correcting refractive error, early detection and treatment of conditions that cause vision loss and identification of ocular changes that signify systemic diseases are all basic components of optometric care. The field of optometry restores and protects vision and its integration in any health care system requires adequate investment and prioritisation of the services it offers as its impact can be substantial from enabling children to learn, adults to work and preventing the elderly to fall due to poor vision to name a few. VOSH/International is active in supporting and training new generations of optometrist in countries where optometry is an emerging profession. In conjunction with Brien Holden Vision Institute and Optometry Giving Sight, VOSH/International recruits and financially supports VOSH Corps, which places North American trained optometrists as faculty members in developing optometry schools. Our Technology Transfer Program (TTP) helps provide examination equipment at these new optometry schools and community service clinics. VOSH Chapters work to provide eye care services, when possible working with local health care, to those around the world that do not have access to or cannot afford such care. Only in terms of refractive error coverage VOSH/International makes an important contribution to the health of thousands each year. With the move towards universal health coverage the clear contribution of optometry needs to be recognised and supported to generate the impact it is able to within health systems across the world.